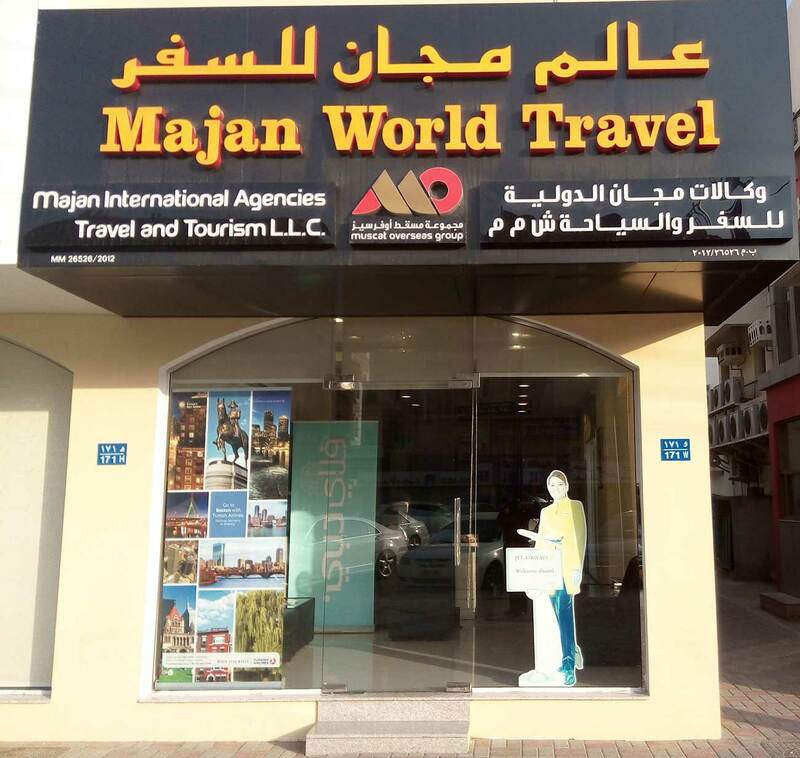 Majan Travel opened its first branch in Sohar, prominently located in Habib Bank Building, Near Old Hospital (MOH) to extend the reach by delivering an enhanced travel experience for its growing customer base. Travel Agency in Sohar, Travel Agencies in Sohar, Reservation & Ticketing in Sohar, Tour Operators in Sohar, Branches in Sohar, Travel Agency in Al Batinah, Travel Agencies in Al Batinah, Tour Operators in Al Batinah, Reservation & Ticketing in Al Batinah, Tour Operators in Oman, Travel Agencies in Oman, Travel Agency in Oman, Tour Operators in Sultanate of Oman, Travel Agencies in Sultanate of Oman, Travel Agency in Sultanate of Oman. 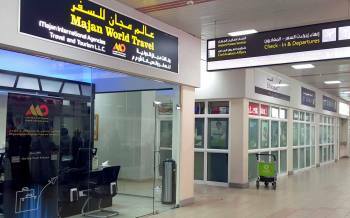 Majan Travel opened its new branch in Ruwi High Street, prominently located nearby Joy Alukkas, Ruwi High Street. The opening of this new branch takes the total number of branches to 2 extends the reach by delivering an enhanced travel experience for its growing customer base. Travel Agency in Ruwi High Street, Travel Agencies in Ruwi High Street, Reservation & Ticketing in Ruwi High Street, Tour Operators in Ruwi High Street, Branches in Ruwi High Street, Travel Agency in Muscat, Travel Agencies in Muscat, Tour Operators in Muscat, Reservation & Ticketing in Muscat, Tour Operators in Oman, Travel Agencies in Oman, Travel Agency in Oman, Tour Operators in Sultanate of Oman, Travel Agencies in Sultanate of Oman, Travel Agency in Sultanate of Oman. 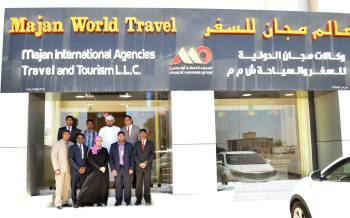 Majan Travel opened its new branch in Salalah, prominently located Opp Oman Arab Bank, 23 July Street. The opening of this new branch takes the total number of branches to 3. Travel Agency in Salalah, Travel Agencies in Salalah, Reservation & Ticketing in Salalah, Tour Operators in Salalah, Branches in Salalah, Travel Agency in Dhofar, Travel Agencies in Dhofar, Tour Operators in Dhofar, Reservation & Ticketing in Dhofar, Tour Operators in Oman, Travel Agencies in Oman, Travel Agency in Oman, Tour Operators in Sultanate of Oman, Travel Agencies in Sultanate of Oman, Travel Agency in Sultanate of Oman. Opened the 4th branch in the Al Khoud Souq area next to Hungry Bunny eatery. The reach to the customers is further expanding. Travel Agency in Al Khoud, Travel Agencies in Al Khoud, Reservation & Ticketing in Al Khoud, Tour Operators in Al Khoud, Branches in Al Khoud, Travel Agency in Muscat, Travel Agencies in Muscat, Tour Operators in Muscat, Reservation & Ticketing in Muscat, Tour Operators in Oman, Travel Agencies in Oman, Travel Agency in Oman, Tour Operators in Sultanate of Oman, Travel Agencies in Sultanate of Oman, Travel Agency in Sultanate of Oman. 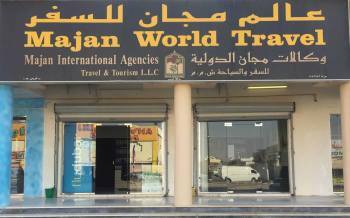 Majan Travel opened its Buraimi Branch, prominently located on SAARA-512, Shop No 3&4, Opp Anwar Khaleej Super Market. The opening of this branch marks a total of 5 Branches. 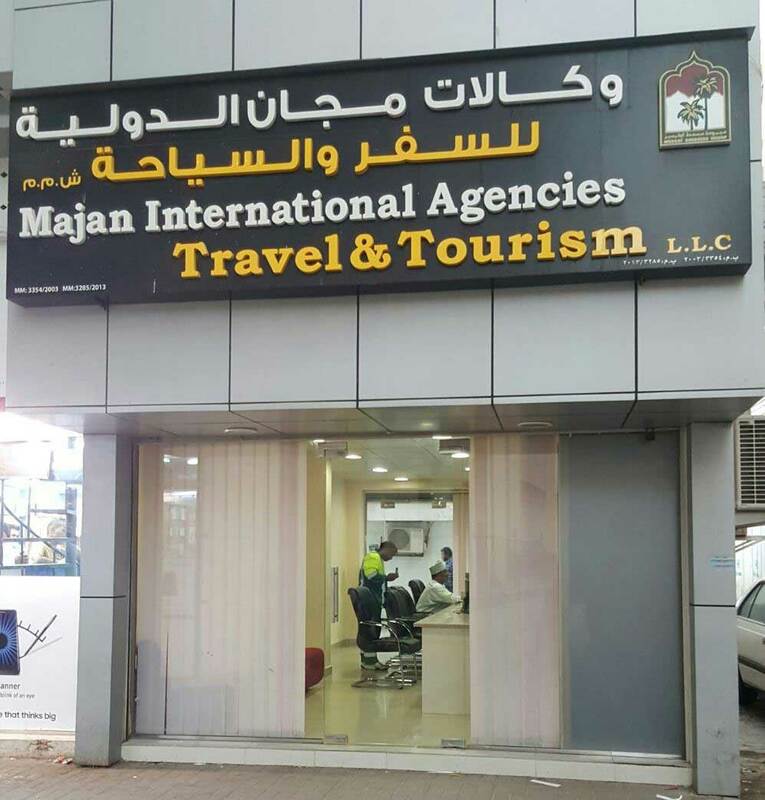 Travel Agency in Buraimi, Travel Agencies in Buraimi, Reservation & Ticketing in Buraimi, Tour Operators in Buraimi, Branches in Buraimi, Travel Agency in Al Buraimi, Travel Agencies in Al Buraimi, Tour Operators in Al Buraimi, Reservation & Ticketing in Al Buraimi, Tour Operators in Oman, Travel Agencies in Oman, Travel Agency in Oman, Tour Operators in Sultanate of Oman, Travel Agencies in Sultanate of Oman, Travel Agency in Sultanate of Oman. 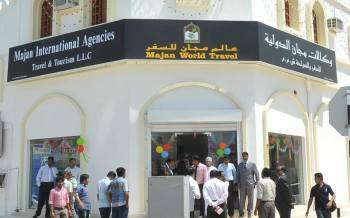 Majan Travel opened its new branch in Sur, prominently located near Bank Muscat, Sur Souk Road. The opening of this new branch takes the total number of branches to 6. Travel Agency in Sur, Travel Agencies in Sur, Reservation & Ticketing in Sur, Tour Operators in Sur, Branches in Sur, Travel Agency in Ash Sharqiyah, Travel Agencies in Ash Sharqiyah, Tour Operators in Ash Sharqiyah, Reservation & Ticketing in Ash Sharqiyah, Tour Operators in Oman, Travel Agencies in Oman, Travel Agency in Oman, Tour Operators in Sultanate of Oman, Travel Agencies in Sultanate of Oman, Travel Agency in Sultanate of Oman. Rustaq gets its new Travel partner who can cater to all the travel requirements. The opening of this new branch takes the total number of branches to 7. 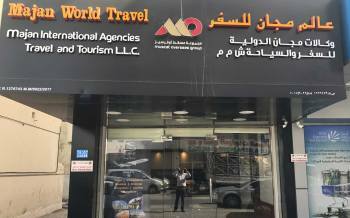 Travel Agency in Rustaq, Travel Agencies in Rustaq, Reservation & Ticketing in Rustaq, Tour Operators in Rustaq, Branches in Rustaq, Travel Agency in Al Batinah, Travel Agencies in Al Batinah, Tour Operators in Al Batinah, Reservation & Ticketing in Al Batinah, Tour Operators in Oman, Travel Agencies in Oman, Travel Agency in Oman, Tour Operators in Sultanate of Oman, Travel Agencies in Sultanate of Oman, Travel Agency in Sultanate of Oman. Muscat has another branch, this time it’s in Qurum located prominently near the HSBC Branch. The tally of branches raises up to 8. Travel Agency in Qurum, Travel Agencies in Qurum, Reservation & Ticketing in Qurum, Tour Operators in Qurum, Branches in Qurum, Travel Agency in Muscat, Travel Agencies in Muscat, Tour Operators in Muscat, Reservation & Ticketing in Muscat, Tour Operators in Oman, Travel Agencies in Oman, Travel Agency in Oman, Tour Operators in Sultanate of Oman, Travel Agencies in Sultanate of Oman, Travel Agency in Sultanate of Oman. We arrive in Nizwa. Our service and customer reach is ever expanding. We are servicing clients at 9 branches now. Travel Agency in Nizwa, Travel Agencies in Nizwa, Reservation & Ticketing in Nizwa, Tour Operators in Nizwa, Branches in Nizwa, Travel Agency in Ad Dakhiliyah, Travel Agencies in Ad Dakhiliyah, Tour Operators in Ad Dakhiliyah, Reservation & Ticketing in Ad Dakhiliyah, Tour Operators in Oman, Travel Agencies in Oman, Travel Agency in Oman, Tour Operators in Sultanate of Oman, Travel Agencies in Sultanate of Oman, Travel Agency in Sultanate of Oman. 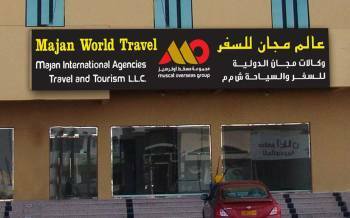 Majan Travel opened its new branch in Barka, prominently located on Barka Hotel Apartments, Somhan Street. The opening of this new branch takes the total number of branches to 10 and extends the reach by delivering an enhanced travel experience for its growing customer base. Travel Agency in Barka, Travel Agencies in Barka, Reservation & Ticketing in Barka, Tour Operators in Barka, Branches in Barka, Travel Agency in Al Batinah, Travel Agencies in Al Batinah, Tour Operators in Al Batinah, Reservation & Ticketing in Al Batinah, Tour Operators in Oman, Travel Agencies in Oman, Travel Agency in Oman, Tour Operators in Sultanate of Oman, Travel Agencies in Sultanate of Oman, Travel Agency in Sultanate of Oman. A round-the-clock available branch is opened for customers having to travel for emergencies or last-minute trips. We are now 11 branches strong. Travel Agency in Muscat International Airport, Travel Agencies in Muscat International Airport, Reservation & Ticketing in Muscat International Airport, Tour Operators in Muscat International Airport, Branches in Muscat International Airport, Travel Agency in Muscat, Travel Agencies in Muscat, Tour Operators in Muscat, Reservation & Ticketing in Muscat, Tour Operators in Oman, Travel Agencies in Oman, Travel Agency in Oman, Tour Operators in Sultanate of Oman, Travel Agencies in Sultanate of Oman, Travel Agency in Sultanate of Oman. 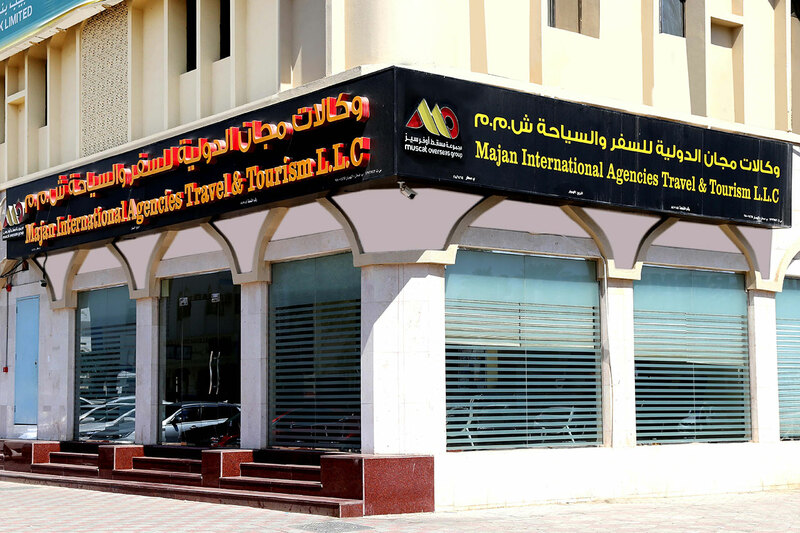 Majan International Agencies Travel and Tourism has shifted its office to Musandam Building near the Ruwi roundabout. 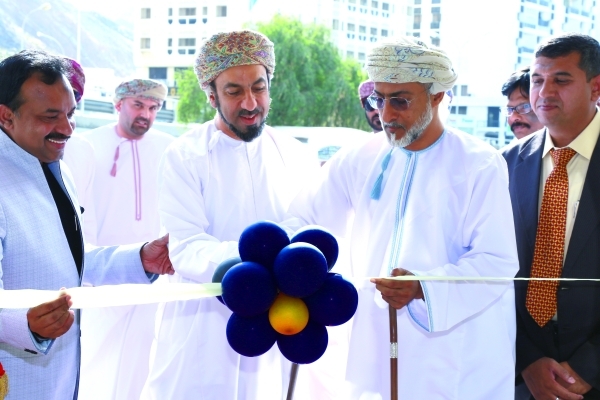 It was inaugurated by Sheikh Salim bin Mustahail al Mashani, vice chairman of Muscat Overseas Group. 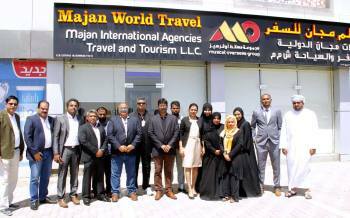 The inauguration ceremony was also attended by several officials from the group, heads from the airline industry and corporate clients of Majan Travel Group. Sheikh Mashani hailed the growth of the group during the last 27 years and wished its team success in future endeavours. We have a Dozen branches now!!! 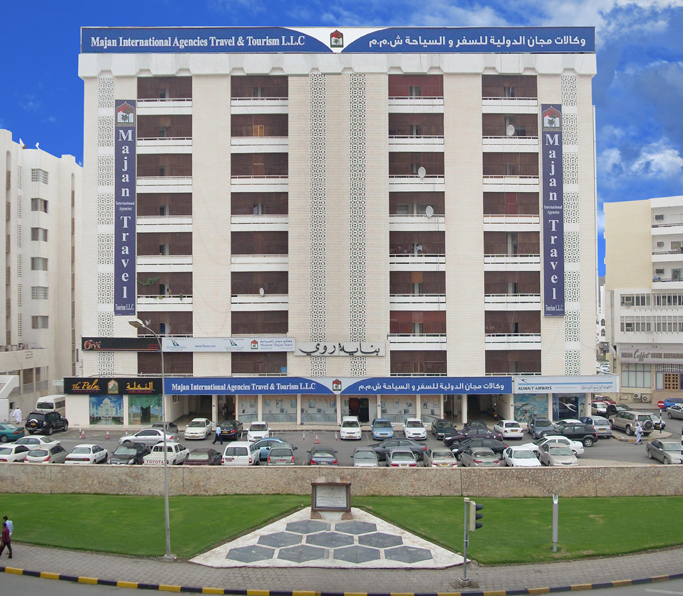 The new Branch at Ibri also signifies that we are present at all prominent towns of Oman. Customers can easily visit this branch near the Grand Hyper market, Souq Road. Travel Agency in Ibri, Travel Agencies in Ibri, Reservation & Ticketing in Ibri, Tour Operators in Ibri, Branches in Ibri, Travel Agency in Ad Dhahirah, Travel Agencies in Ad Dhahirah, Tour Operators in Ad Dhahirah, Reservation & Ticketing in Ad Dhahirah, Tour Operators in Oman, Travel Agencies in Oman, Travel Agency in Oman, Tour Operators in Sultanate of Oman, Travel Agencies in Sultanate of Oman, Travel Agency in Sultanate of Oman. 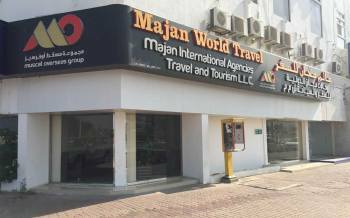 Majan Travel opened its new branch in Suwaiq, prominently located Beside Green Mart Hyper Market. The opening of this new branch takes the total number of branches to 13 extends the reach by delivering an enhanced travel experience for its growing customer base. 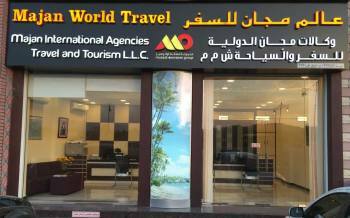 Travel Agency in Suwaiq, Travel Agencies in Suwaiq, Reservation & Ticketing in Suwaiq, Tour Operators in Suwaiq, Branches in Suwaiq, Travel Agency in Al Batinah, Travel Agencies in Al Batinah, Tour Operators in Al Batinah, Reservation & Ticketing in Al Batinah, Tour Operators in Oman, Travel Agencies in Oman, Travel Agency in Oman, Tour Operators in Sultanate of Oman, Travel Agencies in Sultanate of Oman, Travel Agency in Sultanate of Oman. Team Majan launched their 15th branch in Samail with a vision to expand services to customers in Oman. 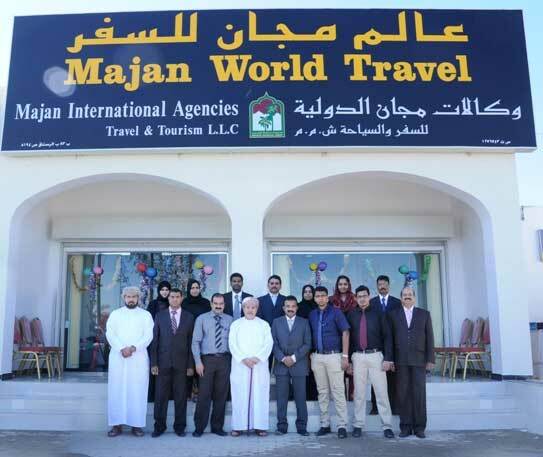 Majan Travel Finance Manager inaugurated the branch. Travel Agency in Samail, Travel Agencies in Samail, Reservation & Ticketing in Samail, Tour Operators in Samail, Branches in Samail, Travel Agency in Ad Dakhiliyah Region, Travel Agencies in Ad Dakhiliyah Region, Tour Operators in Ad Dakhiliyah Region, Reservation & Ticketing in Ad Dakhiliyah Region, Tour Operators in Oman, Travel Agencies in Oman, Travel Agency in Oman, Tour Operators in Sultanate of Oman, Travel Agencies in Sultanate of Oman, Travel Agency in Sultanate of Oman. We are celebrating 10 years of Service in the Sultanate!!! As a small gesture of appreciation to our ever loyal Clientele, we revamp our Salalah branch and bring it to a more prominent location Opp Oman Arab Bank, 23 July Street which is 1 km away from the old office.